Great Place To Livesubmitted by Megan D. - Jan 23, 2019 |Recommended: YesI have had a great experience here. The maintenance and management team currently operating our specific property are really fantastic, honestly I could not ask for better people. The few issues I have had have been resolved within about 24 hours unless an emergency and then it is taken care of right away. This property is beautiful and the team keeping it running is amazing. I am currently renting a 1 bedroom unit and it is a perfect amount of space, even considering I am home most of the time. The property is very quiet, other tenants are respectful and friendly. There are many areas to take a pet outside if needed and disposal bags and bins are provided at certain places. It is easy to get out onto the main road Silverton Rd. , either by walking or driving. Many great amenities included with rent on the property, such as wireless internet which I have never had any issues with. Also, the units have AC and dishwashers. The BEST. I would recommend this complex to others. Propertysubmitted by June B. - Dec 01, 2018 |Recommended: YesI would say that some of the parking in the back is very crowded it would be nice to have more parking due to not every place only has 1 vehicle. It is terrible to have to walk from the middle of the property to the back end of the parking with grocery's or etc. We have never rented in 18 years and this is a new experience for us, so to hear your neighbors tromping and dropping stuff on the floor is a little frustrating. I really enjoy all the immunities that you offer. Maintenance is awesome, staff is awesome as well. Very friendly here. Parkingsubmitted by Connie C. - Jul 23, 2018 |Recommended: YesParking can be a bit much the stalls are small and expect scratches and dings because of it. Swimming Poolsubmitted by Billy J. - Jun 29, 2018 |Recommended: YesThe swimming pool is to small for the number of people using it. It's great, elegant and new. I love it.submitted by Joseph E. - Dec 30, 2017 |Recommended: YesThis is a brand new, elegant place to live. It is very conveniently located, mostly quiet and pet friendly. I whole-heartedly recommend this place to live. response from property - Mar 06, 2018 Thank you so much for writing us a great review! 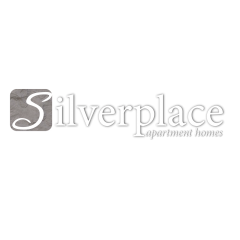 We would greatly appreciate it if you published it on Google as well so we can let any new residents know what Silverplace has to offer. We enjoy having you both here! Very goodsubmitted by Ferren T. - Oct 27, 2017 |Recommended: YesIf fits our needs perfectly at this time in our lives.